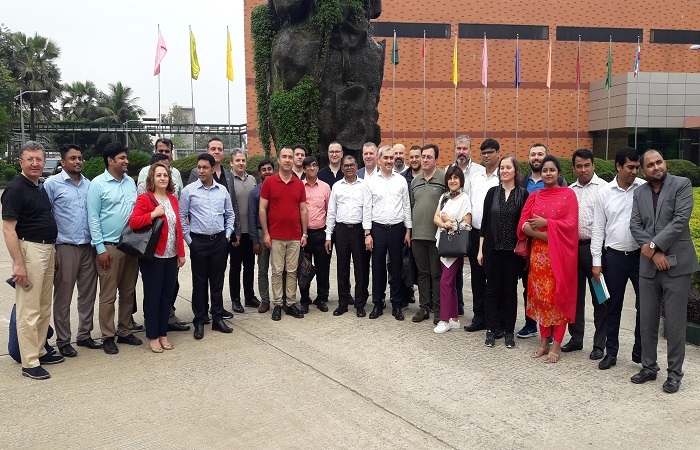 A high level Turkish Health Business delegates has visited Beacon Pharma factory in order to import anticancer drugs from Bangladesh. The delegates are impressed to see the quality system of Beacon. Turkey & Bangladesh can work together in manufacturing advanced life saving drugs says the President of Turkish Medicines & Medical Devices Agency (TMMDA), Beacon’s Plant-Head Golam Robbani informed the authority that quality of Beacon’s medicines are to that of international standard. He also said that patients of 145 countries are using Beacon’s medicines. The Turkish delegates were leaded by CMMDA President, Mr. Md Hakki Gursoz.